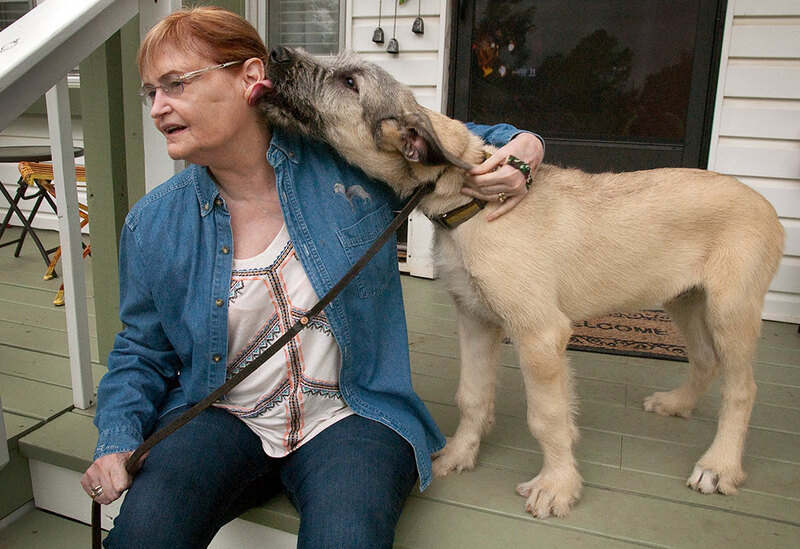 Hawken gives Abby a giant, wet puppy kiss on the front porch last night. Hawken piles in Abby’s lap on the day we got him, March 7. Compare it to the next image, made just seven weeks later. 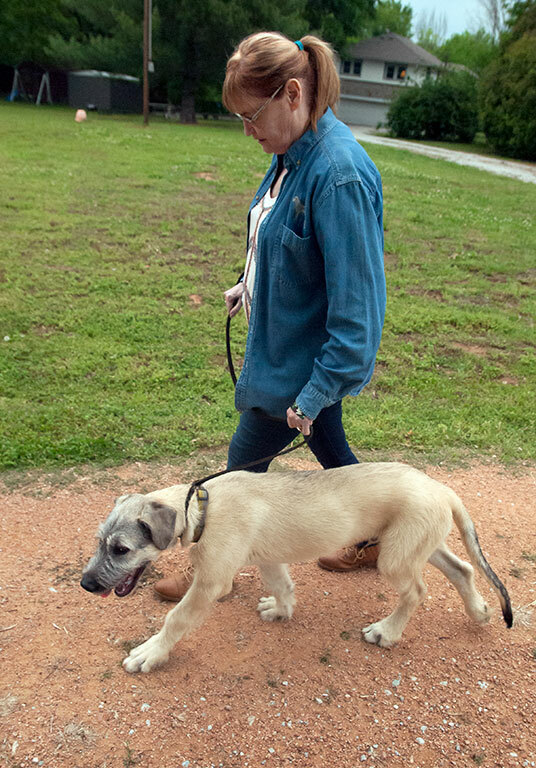 As Hawken, our Irish Wolfhound puppy, grows, he continues to amaze and amuse everyone. 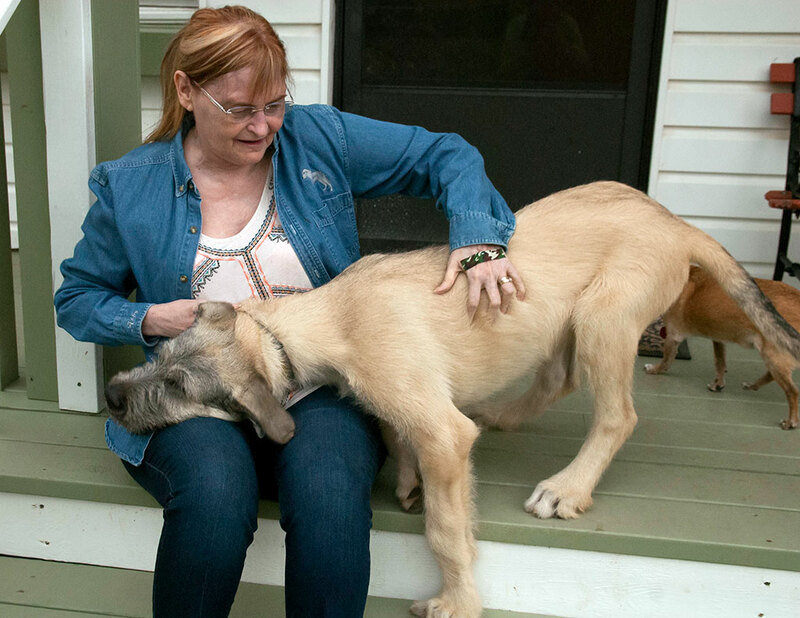 Though we haven’t weighed him in a couple of weeks, we think he’s about 60 pounds now. Abby and I have made a point to leash train him well, and he’s taken right to it. He likes walks and seems to know how to heel like he was born for it. Abby tries without success to get Hawken in her lap to recreate the photo we made on the day we got him in March. As you can see, we’ve been feeding him. Abby walks Hawken down our driveway last night. He is bigger and more powerful every day, but stays at heel with slack in his leash like he was made for it. 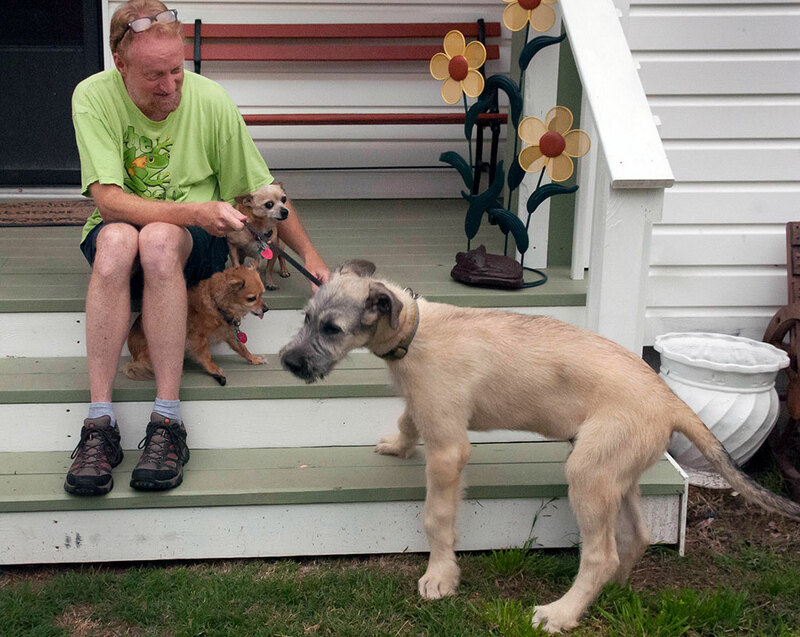 As you can see in this image, Hawken still retains the awkwardness of a puppy, and Max and Sierra, who are under me in this image, haven’t warmed up to him in the least. The leash thing is damned impressive. Daffy still can’t do that, which is to say I haven’t done enough to train her on that.